Pax 3 Vaporizer Basic Kit | Slick Vapes Discount Vaporizers, Ecigs and More! Pax 3 Basic Kit is also known as Device Only. It includes everything you see in the second photo above. For warranty issues, all our customers will receive 24/7 customer support for these units along with satisfying warranty claims in a very timely matter. Both Slick Vapes and PAX Labs, Inc. warrants the PAX 3 devices (not its accessories or batteries) against defects in materials and workmanship under normal use for a period of ten (10) years from the date of retail purchase by the original end-user purchaser (Warranty Period), in accordance with and subject to all the terms of this Limited Warranty. If a physical defect arises and a claim is received within the Warranty Period, PAX Labs OR Slick Vapes will, at its option, either (1) repair the device defect or (2) exchange the device for a new one. Please see our Return Policy below for our policy on refunds. PAX 3 delivers a strong, pure vapor within 15 seconds, and subsequent heat-ups are nearly instant. Not only is it faster but we have noticed that it maintains consistent heat very well compared to it's predecessors. The latest battery technology powers an oven 2x the strength of PAX 2.The company has sold over 1 million units to date making the Pax 3 Vaporizer by Pax Labs (formerly Ploom) one of the most popular portable vaporizers (for sale) in the world. Pax Labs decided to keep it's slick unique design going from the second to the third generation so previous accessories are all compatible. If you are looking for a highly functioning and a slick looking pocket vaporizer, you are just one add to cart button away. What's NEW for PAX 3? Introducing Dynamic Modes Get added precision and reliability with a choice of 5 Dynamic Modes. Boost: Keeps your device in high gear. Flavor: The most delicious possible. Efficiency: Don’t waste a drop. Switch from loose leaf to extract in just a few seconds with the included concentrate insert. Achieve equally dense vapor, no matter your material preference. High-performance from the inside out, PAX 3 features medical-grade materials and a built-in rechargeable battery, for a reliable experience time and again. 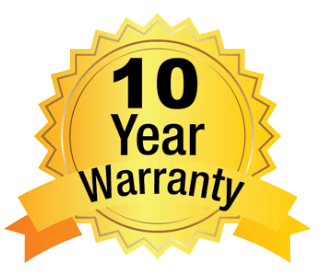 Backed by a 10-year warranty for added peace of mind. Colored LED lights provide real-time communication and the device conveniently vibrates when ready for use. PAX 3 heats when you bring it to your lips and cools when you set it down. All our products are guaranteed 100% authentic from the manufacturer and adhere to the warranty as stated above. We do not and will never sell fake paxes! The PAX Vapor Smart Phone App! Personalize and keep your device operating at its best with the PAX Vapor App. Compatible with PAX 3 units only. Device Dimensions: H 3.9" x W 1.2" x L 0.8"
See current discounts and deals here: Pax coupon code for the cheapest online prices. Slickvapes makes it easy to buy pax 3 vapes delivered straight to your doorstep. Easy to use, great vapor! This has been the best vape I've used so far! I recommend 100%!! As of 3/22/18, this vape has all the features a currently manufactured vape should include. It is convenient, well-made, and provides user-friendly technology without being complicated. Want to buy Pax 3 Vaporizer (Basic Kit) for sale online at the cheapest price? Visit Slick Vapes to find the best discount and deals. We can match the sale price of any authorized dealer so you can purchase with confidence.